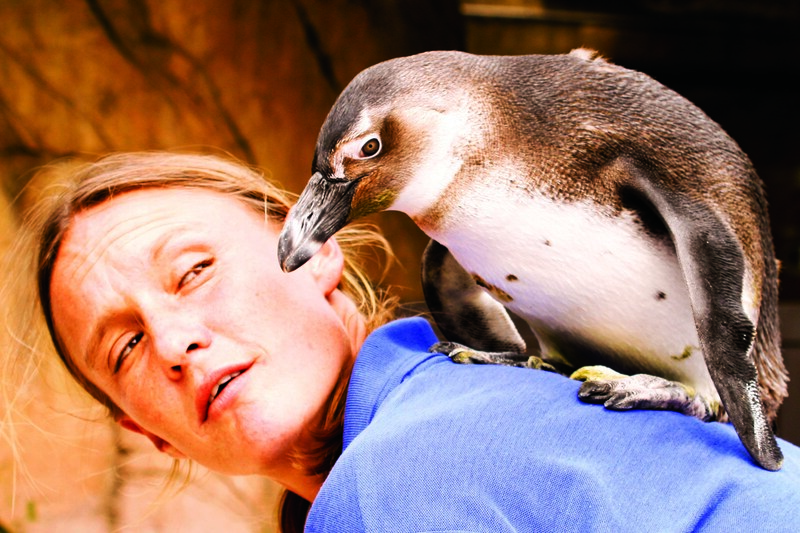 Popularised by movies such as Happy Feet, penguins are popular with visitors of all ages. 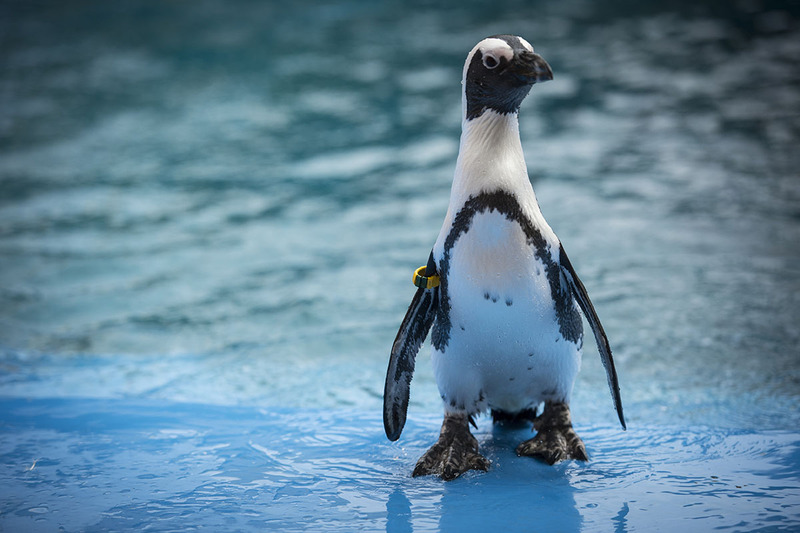 The African Penguin is an endangered species as numbers in the wild have dropped dramatically over the last 100 years. 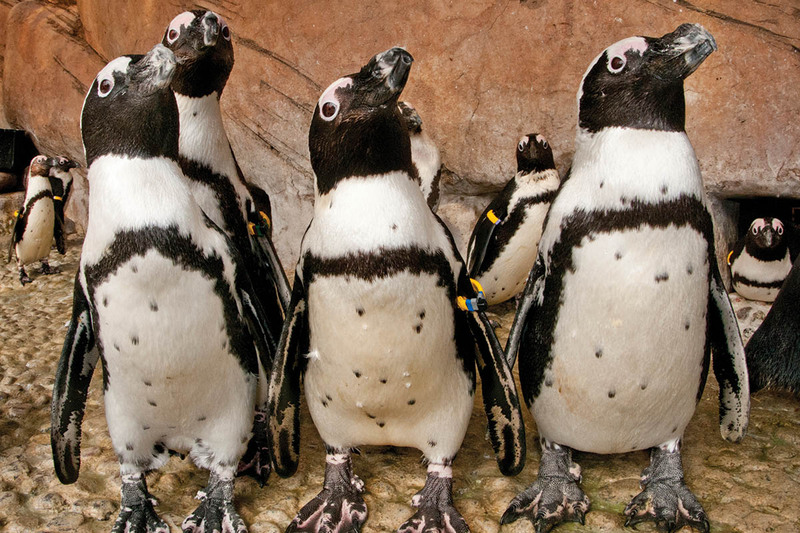 Also known as the Jackass Penguin because of their donkey-like bray, the African penguin is the only species that breeds on the African continent. These flightless birds waddle and hop clumsily on land until they reach the water where they suddenly transform into streamlined and agile swimmers able to reach speeds of up to 20 kilometres per hour. They can stay submerged for as long as two minutes, as they dart around looking for small fish to eat. The black and white colouration is known as counter-shading, with the white on the underside blending in with the water surface when seen from below, and the black on the back helping to camouflage the birds when seen from above. This helps the penguins to avoid predators at sea. Penguins usually pair for life with one partner. They dig shallow burrows on land above the high water mark for nests, and each parent takes turns to incubate the eggs and feed the chicks. 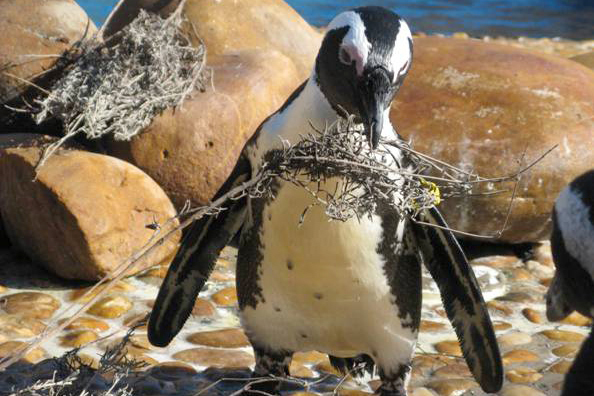 The uShaka Sea World penguin exhibit is home to a thriving colony of African penguins. 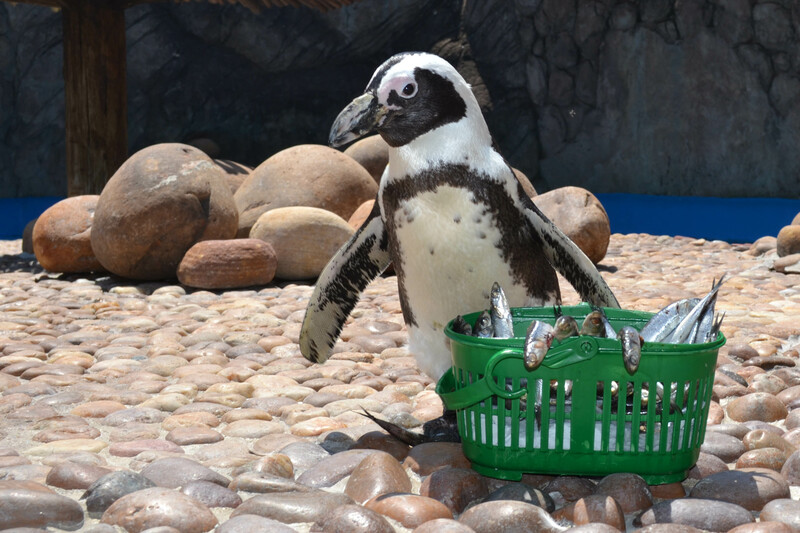 This exhibit has been specially designed to ensure that the birds receive the best possible care. 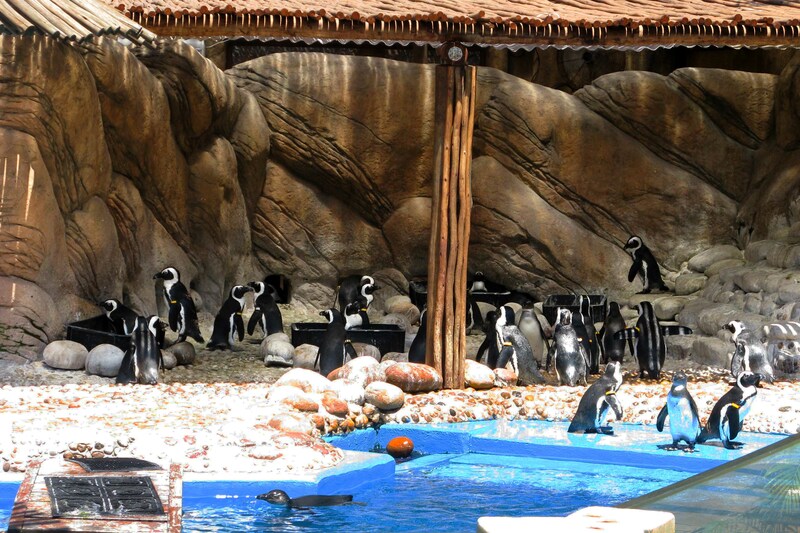 uShaka Sea World has housed African penguins since 1980, when the first stranded birds were received. 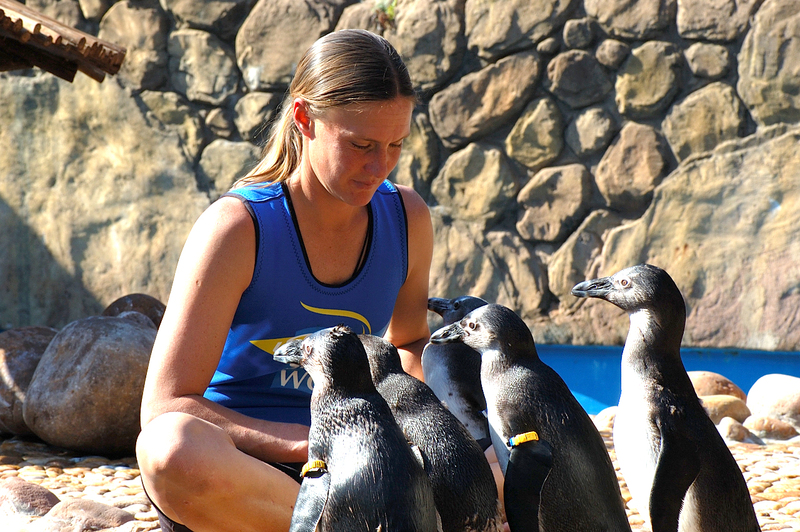 Since then the colony has grown from strength to strength and hundreds of penguins have hatched successfully. The programme is now so successful that birds are sent to supplement the gene pools of other ex situ breeding colonies. Specially designed informative signage around the exhibit ensures that visitors leave this exhibit having learned more about penguins and how they can help these endangered birds.